From the mountains of Chile to the glaciers of the South Pole, Ohio State astronomy faculty travel the world as they work at the cutting edge of astronomical research. The research themes and interests of the faculty overlap considerably, providing an opportunity for students and postdocs to work closely with a variety of experts in many areas. Observational searches for extrasolar planets using gravitational microlensing, and cluster and field star transit surveys. Observational and theoretical studies of the demographics of planetary systems, and the possible linkages with the systematic properties like age and metallicity of the host stars of planetary systems. Follow-up studies of transiting planet systems, and surveys for new extra-solar planets as part of the SDSS-III Collaboration. Theoretical, observational, and experimental studies of molecules and dust grains in interstellar and circumstellar environments, with attention to formation processes and diagnostics of physical conditions. Includes observational and theoretical investigations of interstellar gas and dust in the Milky Way and other galaxies, and the use of optical, and especially infrared observations to probe star formation activity, measure gas-phase chemical abundances, and investigate physical conditions. Observational studies of core-collapse supernovae, Type-Ia supernovae (the thermonuclear detonation of carbon-oxygen white dwarfs), gamma-ray bursts, new and exotic transients, their progenitors, and their evolving remnants. Theoretical investigations of the mechanism of core-collapse supernovae, the birth of neutron stars, neutrino physics, nucleosynthesis of the heavy elements, mass loss from their progenitors, thermal and non-thermal emission from their blast waves, and the engine of gamma-ray bursts, including relativistic winds from newborn rapidly rotating magnetars. Population studies, census, and demographics of compact objects, supernovae, and progenitors. Observational investigations of the stellar contents, chemical abundances, and dynamics of the Galactic Center. Observational studies of the stellar populations of the bulge, disk, and halo of the Milky Way, and interpretation of observational data in light of dynamical models. Analysis of Galactic structure using SDSS-II and SDSS-III data (SEGUE and APOGEE). Theoretical and observational studies of gravitational lensing from scales ranging from microlensing due to stars to strong lensing due to clusters of galaxies, with applications for determining the nature of dark matter, measuring limb darkening in stellar atmospheres, probing the structures of quasars and dark-matter halos, and searching for extra-solar planets using gravitational microlensing. Observational studies of the structure and stellar content of external galaxies, from the Local Group to young galaxies at cosmological distances. Modeling of the dynamics and shapes of different types of galaxies. Theoretical investigations of galaxy formation and galaxy transformations (e.g., via major or minor mergers), using analytic methods and numerical simulations on supercomputers. Time-series analysis of multiwavelength monitoring campaigns, to constrain the sizes, structures, and central black hole masses of active galaxies and quasars, investigations of the causes of nuclear activity and the physical state of active nuclei using optical, infrared, ultraviolet, and X-ray imaging and spectroscopy. Surveys for high-redshift quasars and the evolution of the cosmic quasar population, and observational studies of accretion and outflow phenomena in active galaxies. Work on active galaxies is carried out using ground-based telescopes, the Hubble Space Telescope, and various orbiting observatories including the Chandra and XMM/Newton X-ray observatory. Observational studies of the cosmic distance scale and the high-redshift universe. Theoretical studies of Big Bang nucleosynthesis, the cosmic microwave background, large-scale structure, and the intergalactic medium, with goals that include testing the standard models of particle physics and cosmology, determining the baryon content of the universe and other fundamental cosmological parameters, and providing a theoretical framework for interpreting the observed evolution and clustering of galaxies, quasars, and quasar absorption-line systems at UV, visible, and X-ray wavelengths. 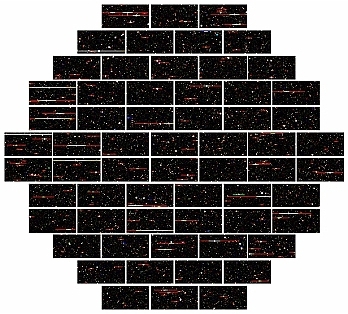 Analysis of large-scale structure and galaxy and quasar properties in the Sloan Digital Sky Survey (SDSS), Dark Energy Survey (DES), and Dark Energy Spectroscopic Instrument (DESI). OSU is one of the world's leading centers for the design and construction of advanced, state-of-the-art optical and infrared instruments for small and large telescopes, instrument control and detector systems, and large-mirror coating systems. Since 1990, we have deployed more than a dozen instruments at observatories on six continents, most of which are still in active research use. Theoretical and experimental investigations of astrophysically important nuclear and particle processes, with applications that include stellar and Big Bang nucleosynthesis, solar neutrinos, interactions of cosmic rays with the cosmic background radiation, the nature of particle dark matter, and the emission and detection of neutrinos from supernovae. Theoretical studies of atomic physics and spectral-line formation in astrophysical environments such as gaseous nebulae, stellar atmospheres and interiors, supernovae, and active galactic nuclei. Work at OSU is focused on the precise calculation of atomic parameters using large-scale quantum mechanical calculations carried out at the Ohio Supercomputer Center. Prof. Anil Pradhan and his group are members of the international collaboration to compute fundamental atomic parameters (excitation, photoionization, and recombination) for all iron-peak elements. OSU is a 25% partner in the MDM Observatory at Kitt Peak, Arizona. Along with partners Dartmouth College, Columbia University, Ohio University, and the University of Michigan, MDM operates a 2.4-meter and a 1.3-meter telescope equipped with modern optical and infrared imagers and spectrometers. The 2.4-meter Hiltner telescope is one of the best in its class anywhere, routinely delivering subarcsecond imaging, while the 1.3-meter McGraw Hill telescope can be flexibly scheduled to undertake long-term observational monitoring programs. MDM is the primary small-project and student training telescope used by OSU astronomers. In an age of giant 8- and 10-meter diameter telescopes, the smaller MDM telescopes are ideal for observations of the brighter nearby stars and galaxies, and for follow-up studies of X-ray sources discovered by space observatories like Chandra or XMM/Newton. They are also excellent for long-term studies of variable stars, active galaxies, and searches for extrasolar planetary systems. OSU is a leader in the development of new instrumentation and observing techniques designed to keep these smaller telescopes at the forefront of astronomical research. Ohio State is a 16% partner in the Large Binocular Telescope (LBT), a twin 8.4-meter mirror telescope on Mt. Graham in Southern Arizona. OSU developed the large-mirror coating system for the twin 8.4-meter mirrors, built a fixed-secondary mirror system to help LBT begin operations before the arrival of the adaptive secondaries, and has commissioned two advanced Multi-Object Double Spectrographs (MODS), the facility optical spectrometers for the LBT. The LBT, with its twin 8.4-meter diameter prime mirrors, is currently the world's largest optical/IR telescope on a single mount. With nearly 24 times the light gathering power of the Hubble Space Telescope, the LBT can obtain spectra of objects the Hubble can only image. Such spectra provide the essential information for determining distances, evolutionary state, and chemical composition of the most distant galaxies known in the universe. With the two MODS spectrographs built by OSU, LBT astronomers can study objects that were formed when the universe was less than 10% of its present age, and study how they have evolved into the galaxies and stars that we see around us today. OSU is a long-standing partner in the Sloan Digital Sky Survey. Our involvement has included the Sloan Supernova Survey, the study of the content and structure of the Milky Way through the 250,000 stellar spectra from the SEGUE project, chemical abundances from the APOGEE project, and the extraction of cosmological and galaxy formation parameters from SDSS databases, including most recently the SDSS-IV eBOSS project. OSU faculty, students, and alumni are playing a number of leading roles in the lead-up to SDSS-V to start in 2020, including development of robotic fiber positioner systems to replace the venerable plug-plate system and leadership of the Milky Way Mapper survey. 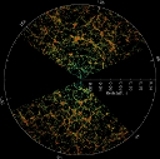 The OSU Astronomy Department and CCAPP are members of the Dark Energy Survey (DES) collaboration. DES is designed to probe the origin of the accelerating universe and help uncover the nature of dark energy by measuring the 14-billion-year history of cosmic expansion with high precision. The DECam survey camera was comissioned at the CTIO 4-meter Blanco Telescope in 2012 and the five-year survey began in 2013. The OSU Astronomy Department and CCAPP joined the Dark Energy Spectroscopic Instrument (DESI) collaboration in 2014. DESI is a large new survey that aims to measure redshifts for over 35 million galaxies and quasars, and use the techniques of baryon acoustic oscilliations and redshift space distortions to investigate dark energy and modifications to general relativity. Astronomers and physicists at Ohio State are playing major roles in the construction of instrumentation for DESI, as well as planning for the survey. DESI is scheduled to begin in 2019 on the KPNO 4-m Mayall telescope and extend for five years.